[How-to] Revert Your Captivate To Stock with Odin3 “One-Click”! 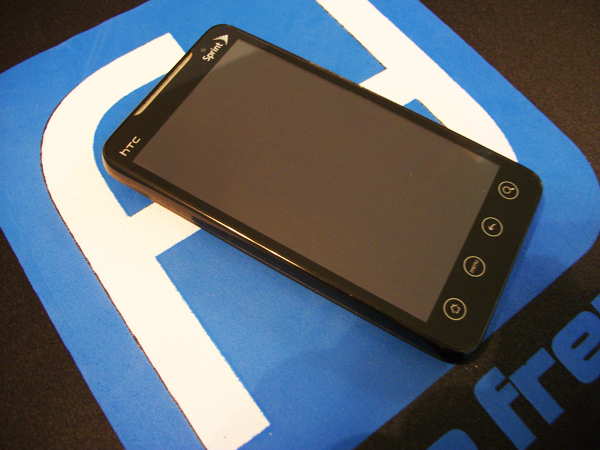 So, you got yourself a shiny new AT&T Captivate. Great, fantastic device; SuperAMOLED, Hummingbird, blah blah. As any new Android user, you hop on the interwebs and get to Googling. Slowly, over time, the inevitable happens; you stumble onto xda-developers.com. You see the light. Within hours, you’re on your third rom, the thirst for speed clouds your judgement. Life is great, your device is flying, multitasking with gusto. It’s at this point the tech Gods decide to rain on your parade, or, more precisely, your Captivate. The speaker is dead, the rain markers are clear, time for insurance. But wait! You’re running CFW. They’ll never replace a device that has so blatantly been modified. In comes Odin3. With just “one-click” (really a few more than that), you’ll have your Captivate SGS back to factory specifications with none the wiser (it’ll also help in ‘bricked’ devices). Hit the link for directions and downloads! 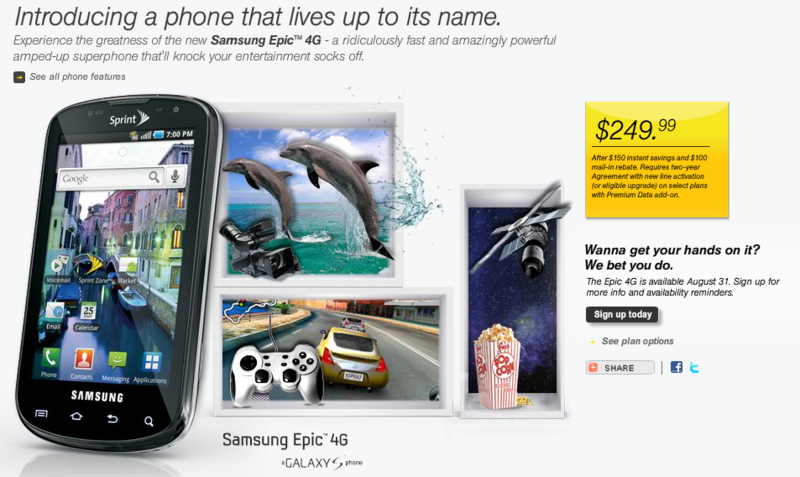 Android PMP to finally give the iPod Touch a run for its money? It is not every day you hear news about personal media players (PMP), especially news that is kind of exciting. The last big iPod Touch competitor was the ZuneHD. The ZuneHD is a great media device, however without the hundreds of thousands of apps and a small ecosystem, it wasn’t able to do as well as Microsoft had hoped. Philips plans to have something of a competitor come this October. For €249 (about $310-$315), you can get a 3.2″ multi touch capacitive display, (most likely) Android 2.1, WiFi, decent looking isolated earphones, a camera, and a Micro-SD slot for expanded storage. Yes, it looks to be the first actual Android PMP. 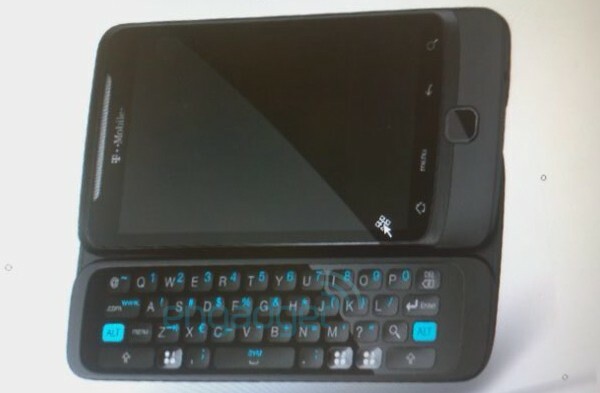 It was rumored not too long ago that Samsung was going to be making some Galaxy S style PMP’s, but it looks like Philips might have beat them to it. Philips says you can sync your media over USB or Bluetooth using Mozilla’s Songbird media software. 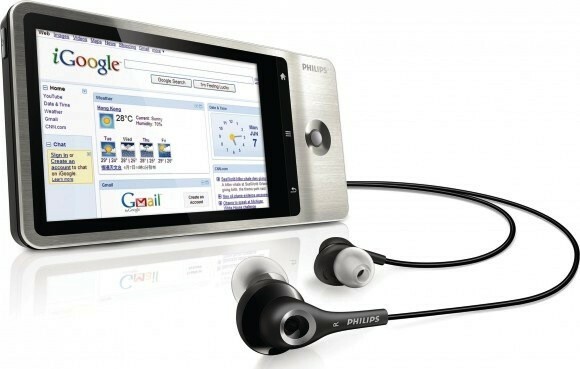 Last, but certainly not least, the Philips media player actually looks to have nice hardware. If you were thinking about getting a Samsung Vibrant and you missed your chance yesterday to pick it up for $99, don’t feel too bad. If you have ever heard of Amazon.com, then you know that they are known for lowering the price for just about everything they have. Yesterday, after T-Mobile dropped the price for the Vibrant to $99 for a 1 day only sale, Amazon decided to one up them and drop it to only a penny. Well the one day deal for T-Mobile is over, but not for Amazon. 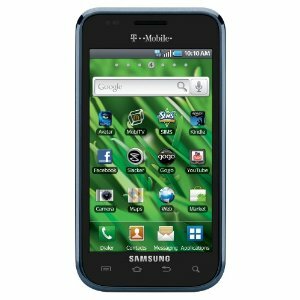 You can still head over to Amazon right now and pick up your Samsung Vibrant for $0.01 on a new 2 year contract. So what are you waiting for? T-Mobile just dropped a bombshell! Okay maybe not quite a bombshell, nothing like the G2 teaser anyway. However, the Motorola Charm will be landing on T-Mobile on August 25th. They don’t specify a price in their official Twitter announcement, but Engadget points out that Motorola’s Facebook page mentions $74.99 on a new contract. The Motorola Charm is an affordable ‘entry level’ phone for those back to schoolers. No slide out keyboard, no touchscreen only none sense. Easy and familiar portrait keyboard for Blackberry lovers who are tired of Blackberry OS. So, Moms and Dads who are unwilling to pay $199.99 and sign a new 2 year agreement, I recommend this phone for your children! Oh and for those who are curious, this phone comes with Android 2.1. 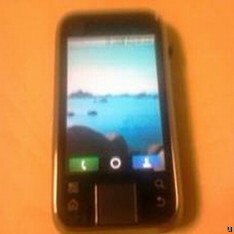 Yeah it looks as though it will be the first full-fledged Motoblur phone with Android 2.1. It seems like a new Droid phone comes out every other month now these days. 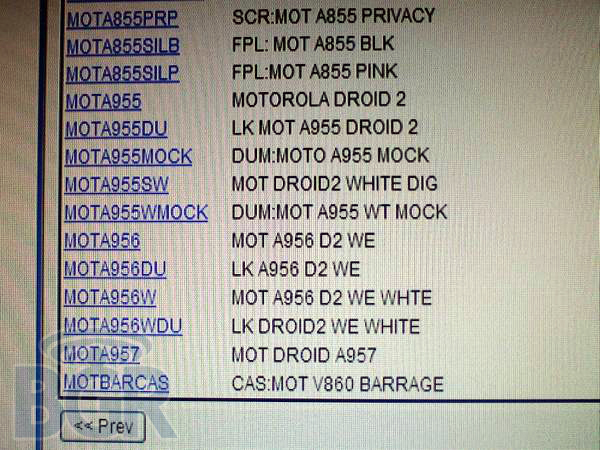 Hot on the heels of the Droid 2 being released, two new Droid phones have popped up in the system, the Droid Pro and Droid 2 World Edition, also Moto seems to be working Android Tablet or as well. Is this AT&T’s next Android phone? This newcomer is called the Motorola Sage and no specs are official yet but according to UberGizmo it will come loaded with Android 2.1. By the looks of it though, it looks like it is rocking an old version of Motoblur, I suppose no NinjaBlur for AT&T at all? You can also see the 3.1 inch screen too as well as the big center placed trackpad as well. They say there will be a QWERTY keyboard added to the phone but looking at the phone from this angle, where is it going to be put? Are they going to reinvent the Backflip again? 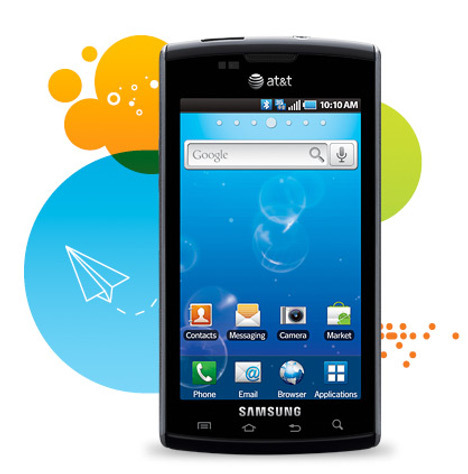 Any AT&T Android users out there excited for a weirdly looking Android phone? FCC filing after the break. [UPDATE] New photos of the Sage have been uncovered, non blurry and with the QWERTY keyboard. HTC Vision coming to T-Mobile Europe but may not come to U.S.A.
As we reported earlier about the HTC Vision, Engadget released another shot of the subject phone. We still believe that this particular version is a Euro-bound version, but we can agree that the U.S.A. may see a modified version of the 3.7 inch WVGA device slider-qwerty and toting a 1GHz Snapdragon processor. The bad news is, and what was clearly missed in the original ad posted on Njuskalo.hr, the device is new to “Hrvatska” (Croatia), therefore, for now, it is a European only device. The HTC Vision is set to make an appearance on T-Hrvatski Telekom (and other Deutsche Telekom supported carriers based in Europe) this September.